Background: Regional anesthesia for laparoscopic cholecystectomy (LC) is considered to have some advantages compared with general anesthesia. Patients can be awake and oriented at the end of the surgery and have less postoperative pain, nausea and vomiting. Problems related to general anesthesia such as oral and teeth injury during laryngoscopy, and a sore throat and stomach inflation as a result of mask ventilation might be avoided in a regional anesthetic setting. Objective: the aim of the study is to compare between thoracic epidural anesthesia (TEA) and general anesthesia (GA) for LC regarding intraoperative hemodynamics, postoperative analgesia and cost. 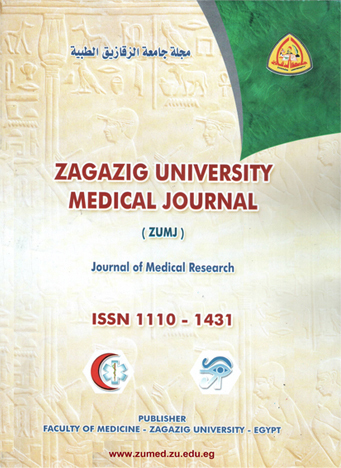 Patients and methods: 116 patients undergoing elective laparoscopic cholecystectomy surgery in general surgery department in Zagazig University hospitals were randomly divided into two groups. Group A received GA with 1-2 μg/kg fentanyl, 2 mg/kg propofol, 0.5 mg/kg cis-tracrium and isoflurane 2 MAC. Group B received 15 ml bupivacaine 0.5% with 70-100 μg fentanyl in thoracic epidural catheter inserted at T 10-11 interspace. Both groups were given 30 ml bupivacaine 0.375% intraperitoneal infradiaphragmatic after insertion of the trocar and insufflations of the peritoneal cavity before starting surgery. Results: TEA proved to be having lower incidence of postoperative shoulder pain, postoperative nausea and vomiting (PONV) and lower cost than GA and a higher incidence of patient and surgeon satisfaction, hypotension and bradycardia. Conclusion: TEA may be a good alternative to GA for LC.